For the last few weeks all that we have been talking about is Tacos! 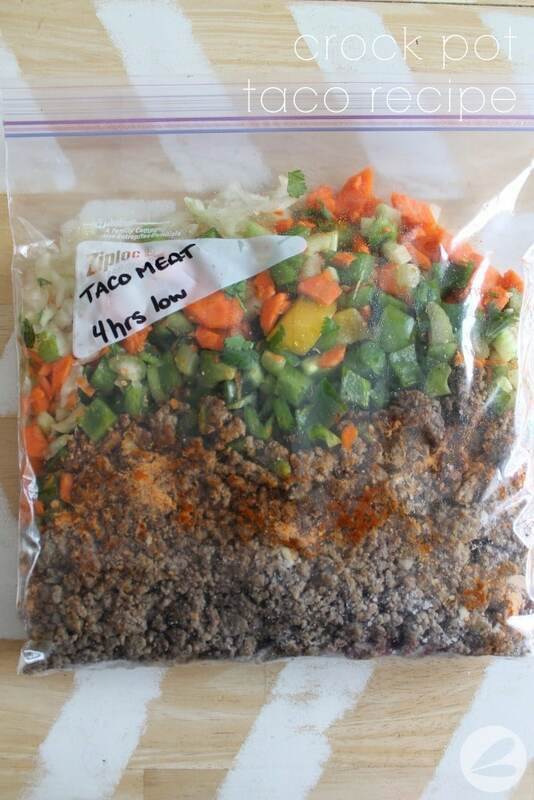 Taco Bake, Taco Seasoning and Hamburger Soup… so today I thought that we should round it off with this super easy Crockpot Beef Taco recipe. I absolutely love having crockpot meals already prepared and ready to use in my freezer. This meal is no exception! This Crockpot Taco recipe is probably one of the most versatile because it can be used for so many things once cooked. As the base for chili, an addition to taco salad, the start to burritos or simply the filling for tacos whether you use traditional corn/flour tortillas or lettuce wraps. This recipe is a winner! So print, pin, save and use it in your meal planning! Crockpot meals can easily be converted to Instant Pot recipes using this handy guide from Taste of Home – How to Convert Slow Cooker Recipes for the Instant Pot. This is the perfect recipe to “batch” into your meal prepping. 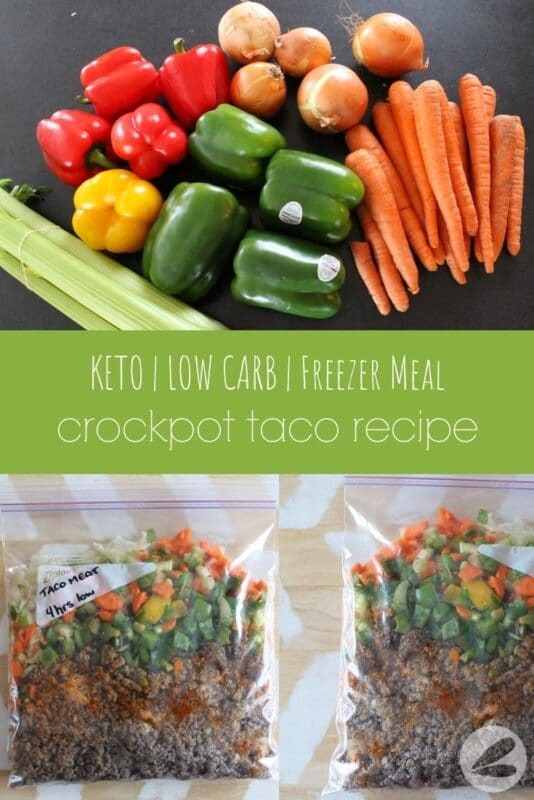 Plan to make four or more complete crockpot taco recipes and schedule them into your weekly planning. The brilliant part is that no two meals need to look the same! Place all ingredients in a crockpot.